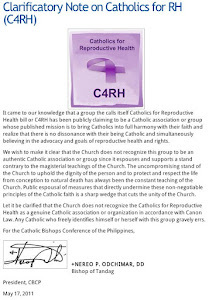 The Catholic Position on the RH Law: For the record: Jemy Gatdula on why "support for the RH Bill is based on blind faith and not on reason or facts"
For the record: Jemy Gatdula on why "support for the RH Bill is based on blind faith and not on reason or facts"
Jemy Gatdula, Nov. 15, 2012. The pro-life crowd (or at least those who stand against the RH Bill, watered down or not) has always been accused of basing their positions on faith rather than on "facts" or science. Which is absurd. And patently untrue. 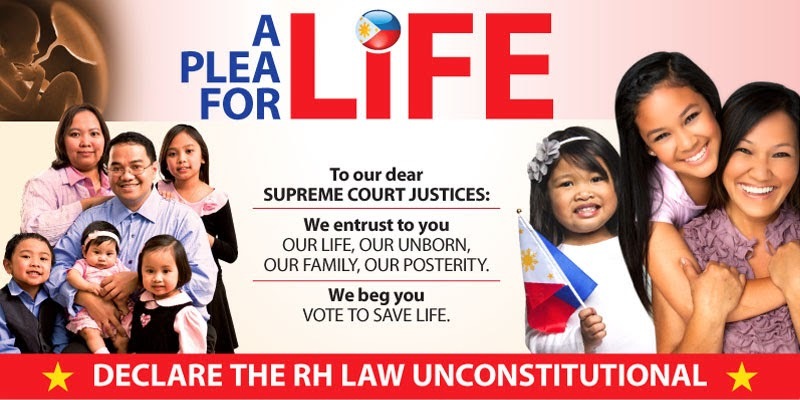 Because if there is anybody actually basing their entire argument on blind faith, in complete disregard of reason, information, or logic, then one has to lay that on the RH Bill advocates themselves. How else to justify their baffling support for contraception despite overwhelming evidence that such are hazardous to women or newborn babies? Just six days ago, Lori Chaplin reported ("Want to Find a Good Husband and Have a Family? Don’t Use the Pill," National Catholic Register, Nov. 10, 2012; citing a 2009 UK study "Does the Contraceptive Pill Alter Mate Choice in Humans?") that, aside from making women less attractive (due to the contraceptive’s prevention of ovulation, thus interfering with a woman’s "appearance, odor and voice pitch -- to which men are sensitive"), contraceptives also unquestionably cause harm to women’s bodies. Chaplin describes such serious dangers to include "increased likelihood of breast cancer, heart attack, stroke, blood clots, high blood pressure, liver tumors and gallstones. The pill also heightens infertility. When a hormone is chronically changed, it actually changes the entire system of hormones. It changes the master hormones and how they excrete. The result of this is that when a woman does want to become pregnant and stops the pill, the body continues to act as if the contraceptive is still being taken. That is one of the reasons why women who have been on contraceptives for a long period of time can’t get pregnant." The study further noted contraceptives’ "detrimental effects on future generations, stressing that more studies need to be conducted. They predict that offspring of pill users will be more homozygous (possessing two identical forms of a particular gene), which can be related to impaired immune function, an increase of genetic diseases, as well as decreased perceived health and attractiveness." Reuters (Nov. 7, 2011) also discovered that the risk for venous blood clots "was 43 percent to 65 percent higher with drospirenone-containing pills, compared with older, so-called second- and third-generation pills." All the foregoing is in addition to the list of studies I discussed in a previous article ("Contracepting Common Sense," Aug. 23, 2012), finding reasonable grounds to conclude that contraceptives pose a danger not only to women but also for their children. In fact, the perils accompanying contraceptives are such that liability lawsuits involving it are a growing industry in the West. Legal aid group Lawyers and Settlements reported that as of "March 2012, approximately 12,000 lawsuits" have been brought against the manufacturer of widely used contraceptives "Yasmin, Yaz, Beyaz and Safyral, alleging an increased risk of blood clots (deep vein thrombosis (DVT), pulmonary embolism (PE)) and gallbladder problems." NuvaRing Resource Center, "a patient advocacy group," also reported that "the FDA has received over 1,000 reports of blood clot injury or death in patients using NuvaRing. On Oct. 27, 2011 they released a report titled "Combined Hormonal Contraceptives (CHCs) and the Risk of Cardiovascular Disease Endpoints," which showed vaginal ring contraceptives could increase the risks of blood clots by as much as 56%." And yet, with all that danger (and add that oral contraceptives have a 7% failure rate, with a 15% failure rate for condoms, compared to the almost 0% failure rate of NFP), why do these people insist in pushing contraceptives? One answer perhaps lies in Global Industry Analysts, Inc.’s report (seehttp://www.strategyr.com/Contraceptives_Market_Report.asp), which finds that the contraceptives business, strategically taking advantage of the "financial hardships induced by the recession, world market for contraceptives, which remains one of the few industries untouched by the economic downturn, is projected to reach $17.2 billion by the year 2015." Notably, the contraceptive business, not content with exploiting people’s economic anxiety for greed, is also not above manipulating ideologically blinded politicians to increase their profits even more. As Forbes reported ("The Biggest Beneficiary of the Contraception Mandate? Drug Companies," March 6, 2012), Obama’s HHS Mandate "will dramatically inflate the price of contraceptives." Contrary, therefore, to the theory that subsidizing contraceptives will make it more available to the poor (a theory the RH Bill works on as well, with its reported allotment of ₱13.7 billion), such laws will actually make contraceptives more expensive, diverting funds from needed education and employment generation measures, all at the cost of the general public and all for the pocket of contraceptive big business. Forbes concludes that, since contraceptives are legal anyway (as in the Philippines), then a more efficient measure actually is to just leave people to buy birth control pills by themselves. 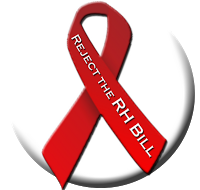 Which brings me back to my original point: support for the RH Bill is based on blind faith and not on reason or facts. Now to what that faith is anchored on, your guess is as good as mine.